Its a talked-about movie of today’s year! Queen of Multimedia Toni Gonzaga paired with the long-time best actor Piolo Pascual in Starting Over Again. This movie was shown last February 12, 2014 under Star Cinema directed by a true hit-maker, Direct Olivia M. Lamasan. This Filipino romantic comedy film was still a part of the 20th year celebration of Star Cinema. Starting Over Again made another remarkable record earning 25 million pesos on its first day. Starting Over Again made a total domestic gross has reached up to 400 million pesos. This is a proof that Filipino movies are really that awesome that everyone shouldn’t missed. The story tells about two persons who became lovers for years. Genina "Ginny" Gonzales (Toni Gonzaga) was a college chic and was a lover of Marco Antonio Villanueva III (Piolo Pascual). They developed an ideal and romantic relationship together when suddenly Ginny decided to leave Marco for such reason. Ginny was thinking that Marco was just a person who settles for less. Marco was dumped and was about to get crazy when Ginny left him. Years later, they met again. Marco pursued a career in cooking while Ginny on her interior design career. Marco had moved on and has a girlfriend named, Patricia "Patty" de Guia (Iza Calsado). Starting Over Again was just typical love story that we used to watched in theaters. However, the chemistry of the two made the movie a blockbuster! 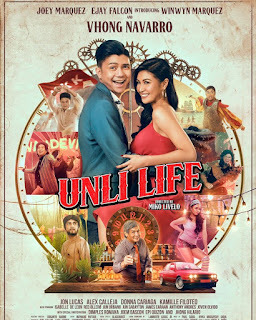 Other casts includes, Joross Gamboa as Ali, Edgar Allan Guzman as Baba, Cai Cortez as Beb, Beauty Gonzales as Wella, Bryan Santos as Migo Samanego, Lito Pimentel as Ginny's Fathe, Yayo Aguila as Ginny's Mother.